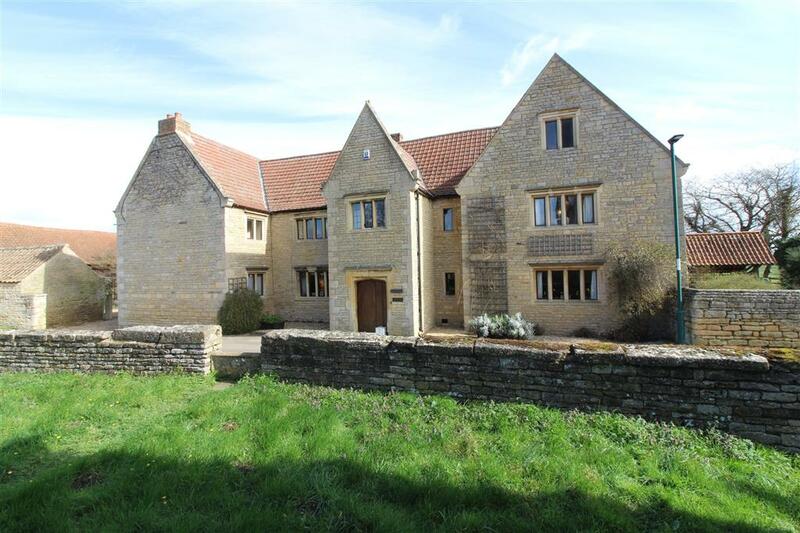 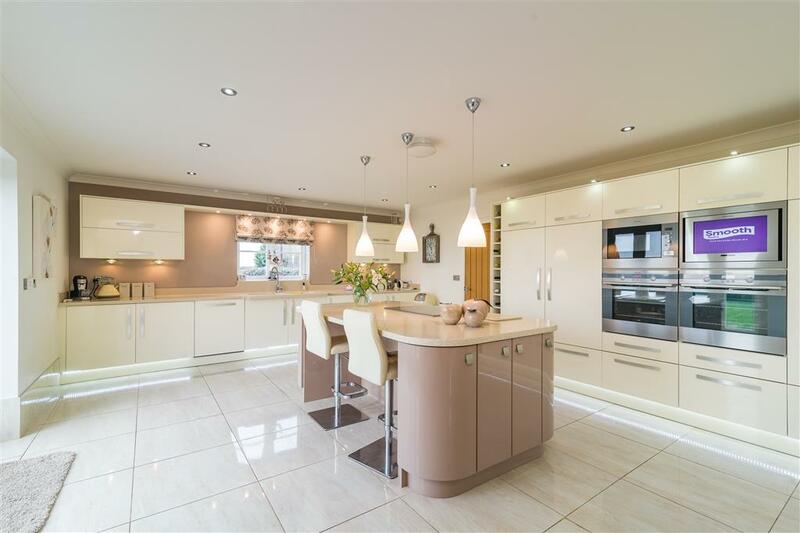 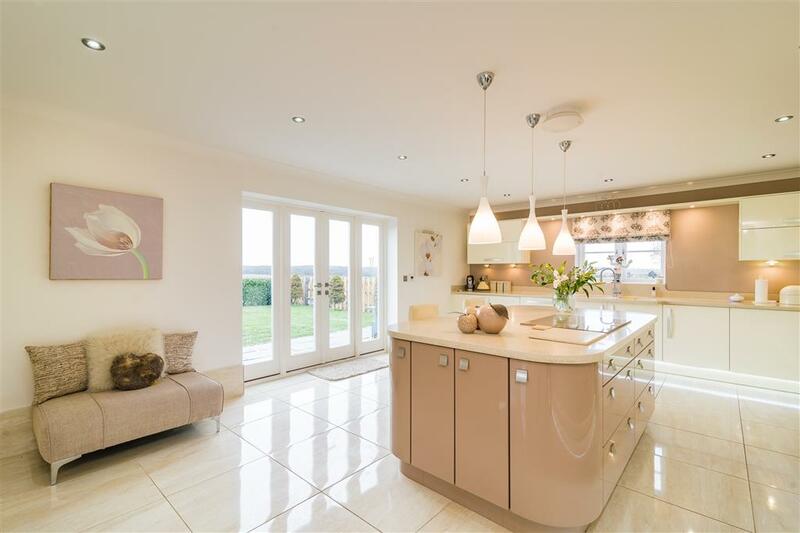 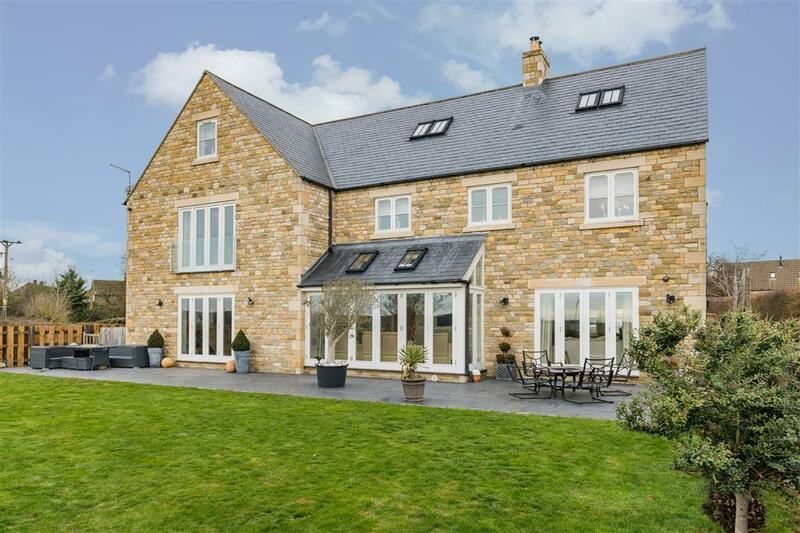 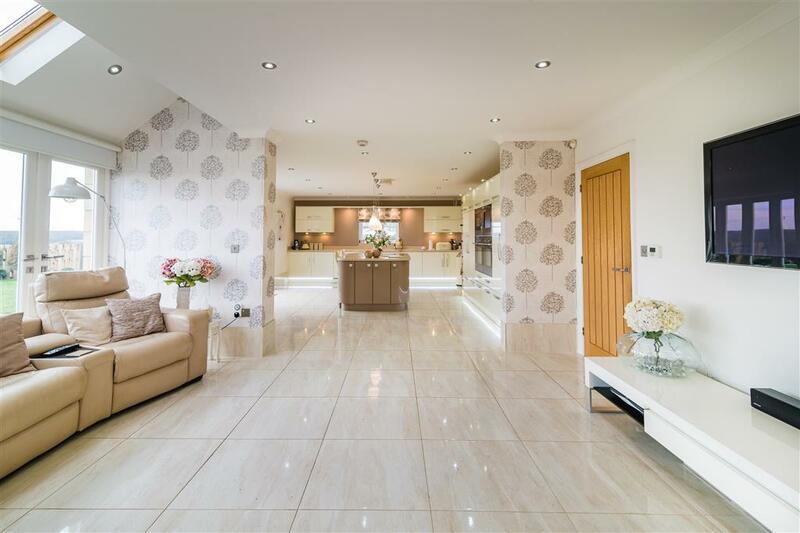 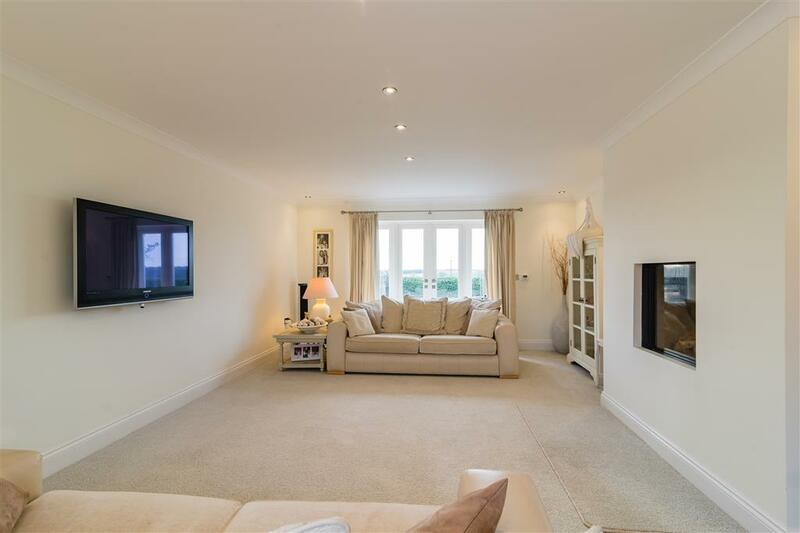 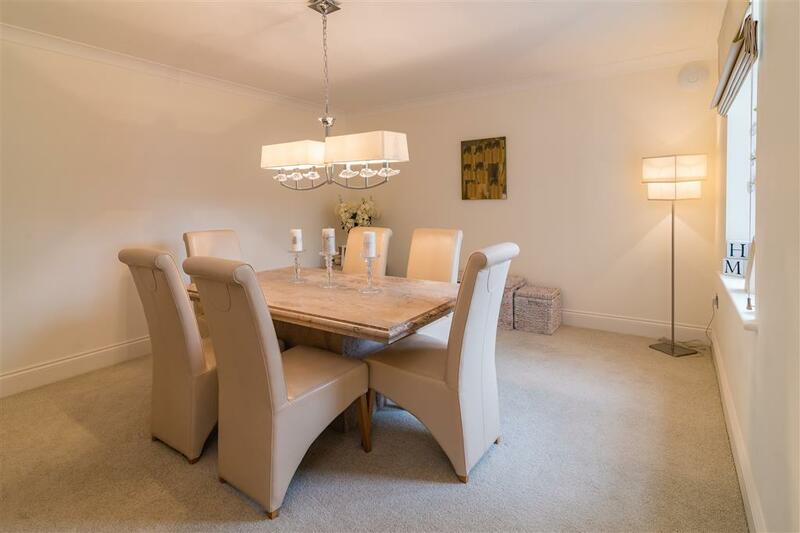 A beautifully presented stone-built family home, finished to an exceptionally high standard offering light and spacious accommodation, with a contemporary feel throughout. 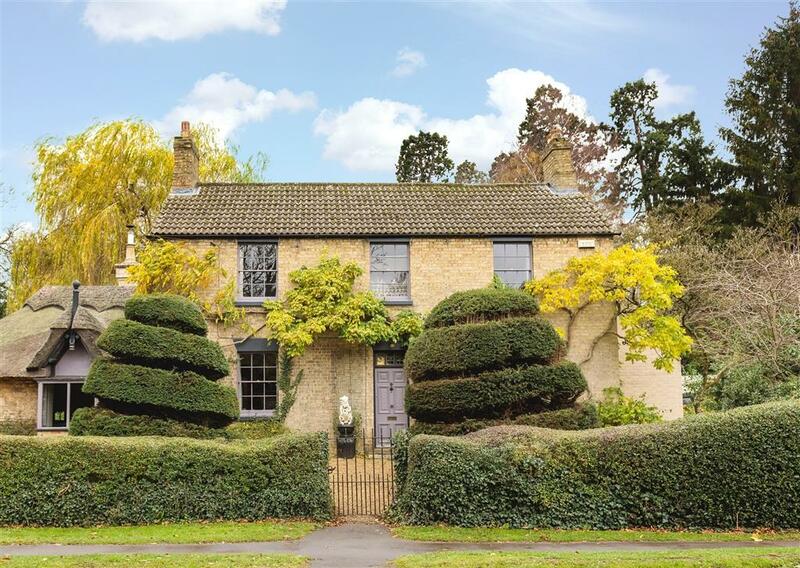 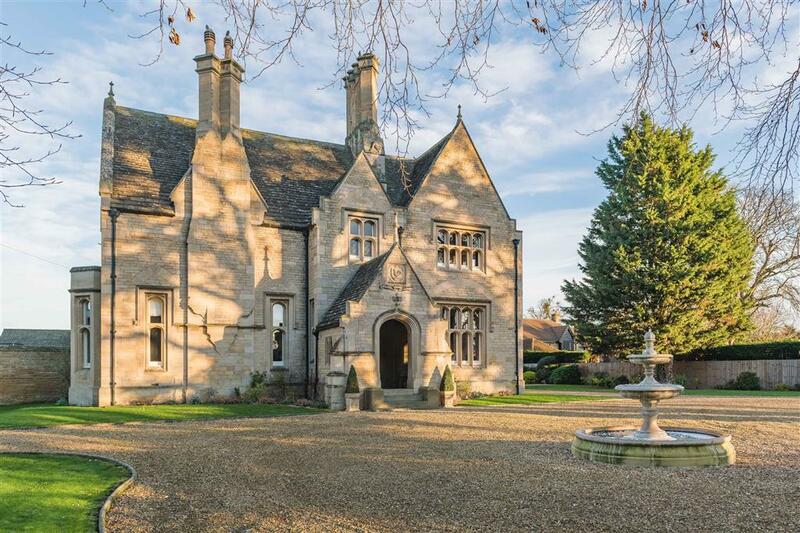 Mayberry House sits nestled on a generous plot within gated enclosures and has accommodation arranged over three storeys, briefly comprising; an entrance hallway, three reception rooms, a cloakroom, an open-plan kitchen/family room and ample storage along the inner hallways. 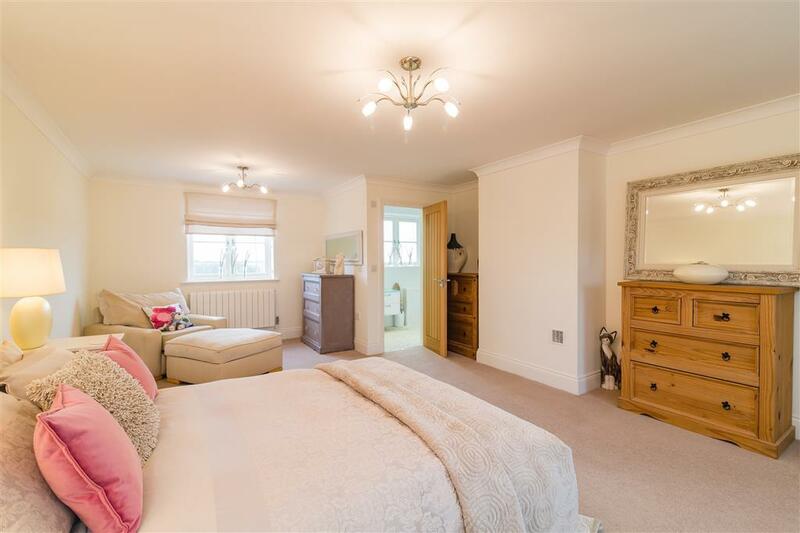 To the first floor, a spacious landing gives access to three large double bedrooms, with the master featuring an en-suite and walk-in wardrobes. 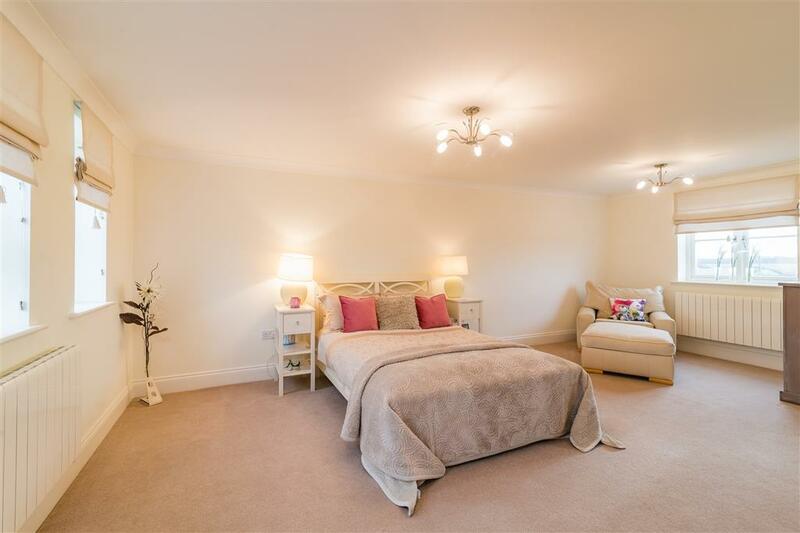 The further three bedrooms each have access to en-suite facilities. 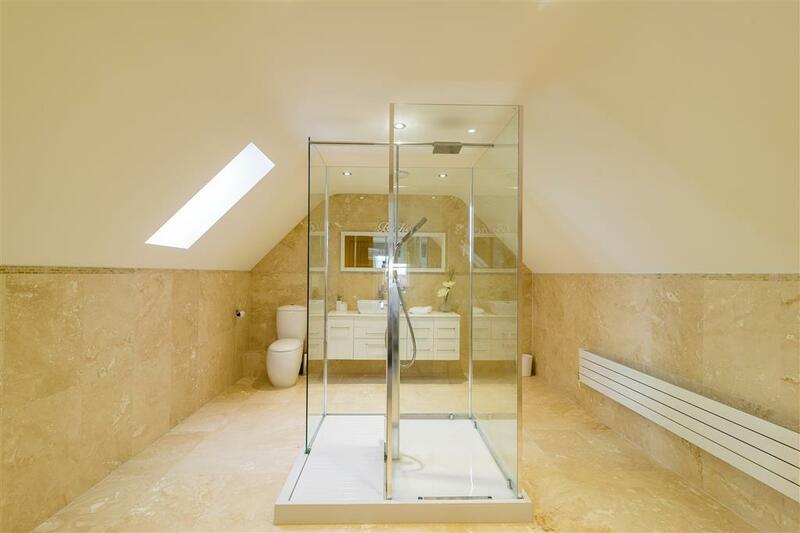 There is also access to a large office situated above the garage which is accessed via the utility room. 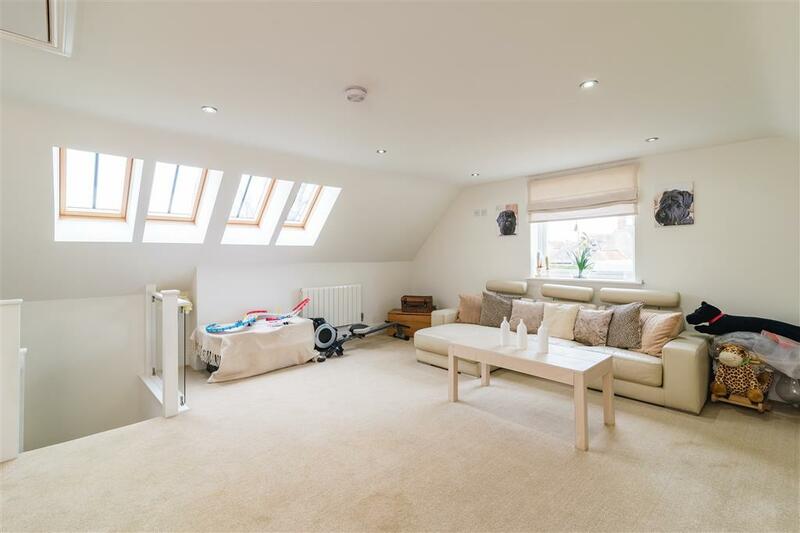 To the second floor, a galleried landing gives access to an additional two bedrooms, one with en-suite and the second lending itself as a living area. 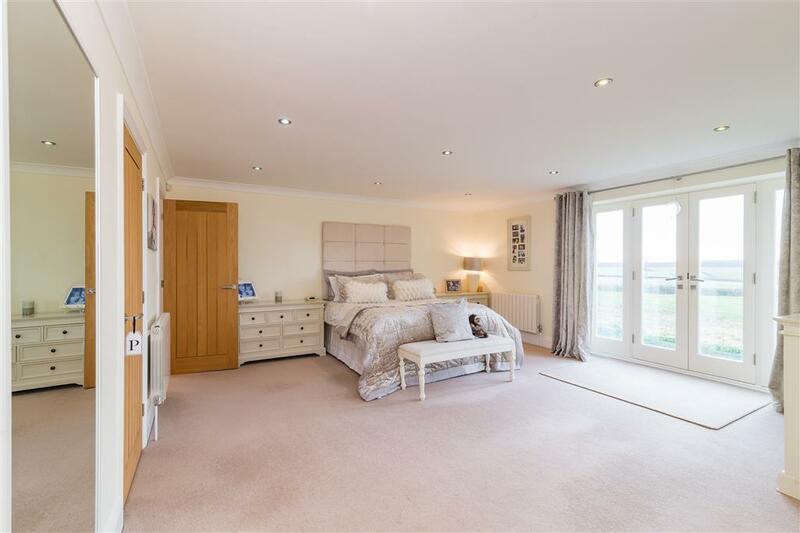 There is also an inner lobby, providing storage or additional wardrobe space to the main bedroom. 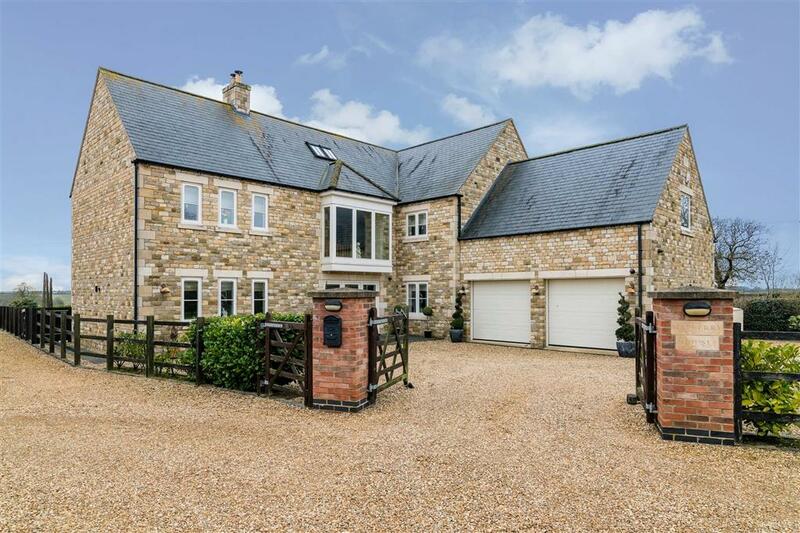 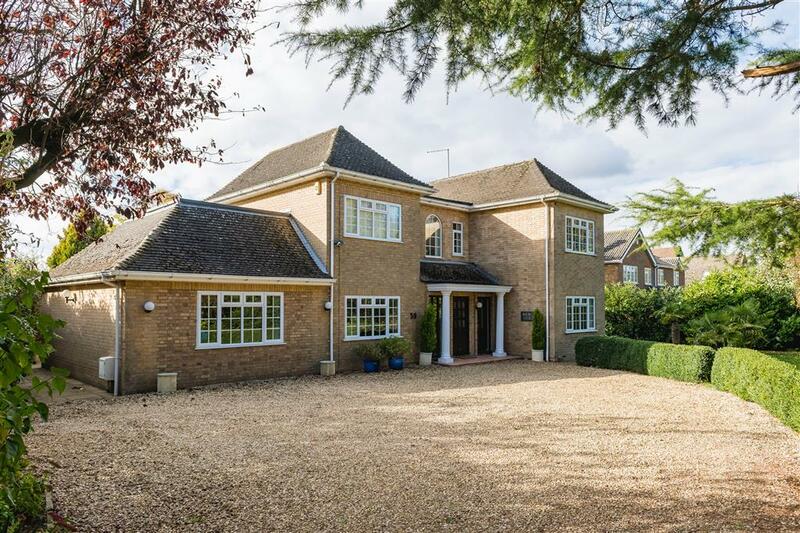 The property is accessed via a five-bar gated entrance and approached by a spacious gravel driveway providing ample off-road parking and leading to a double garage. 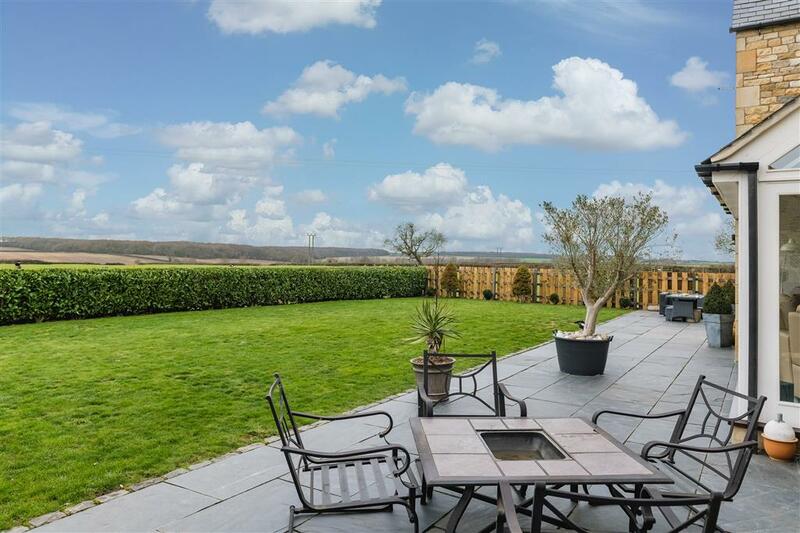 The rear gardens are mainly laid to lawn and feature a slate patio/seating area and benefit from open countryside views, all enclosed by fencing and hedging.